We are all so very stoked for this show – Come be a part of it!! This is truly our come back! One year after a disaster that could have easily wiped us out we are stronger than ever! 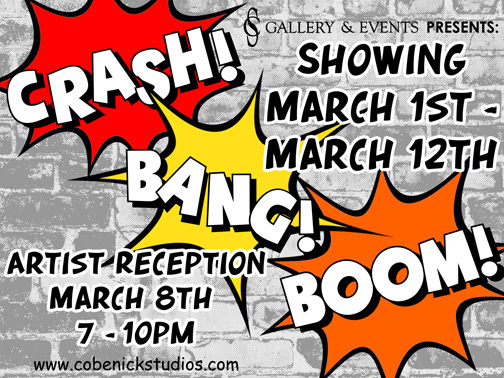 Come check out artists take on “crash”, “hit and run”, “explosions”, or just BOOM! These are all things that happened to us! Come help commemorate the best/worst thing that ever happened to us! Tags: Arlo Moon, Caryl Young, CS Gallery, Theodore Zanardelli, Tom Sherman, “Crash” Tribute Show!